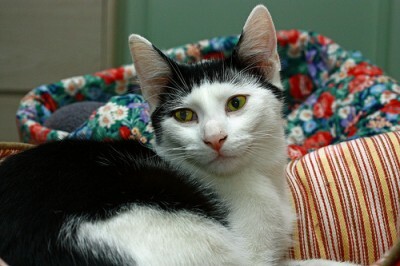 Sidekick, Half-Face, Miller, and Ringo are all brothers of the recently adopted Irene. Sidekick is our cat house rascal. He is the first one to greet you at the door!!! Fun fun fun. Loves to play with other cats and his toys. He needs high energy attention , but once he tires out, he is such a mush pot. He loves to cuddle and purr. Very affectionate and adores people. Everyone loves Sidekick! 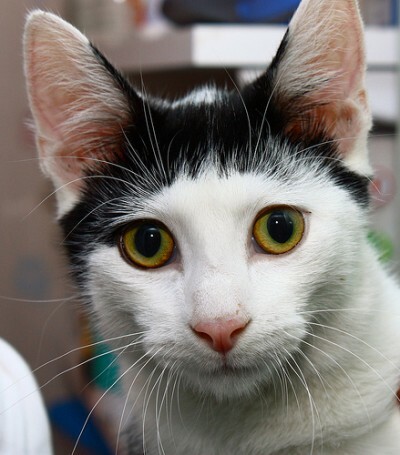 He is also one handsome fellow with his white coat and adorable black markings.